We actually just hired someone to redo our pantry closet. The shelving in those cabinets constantly break on us – so the space is USELESS and has been for 5 plus years. I finally reached my boiling point a few days ago when I went to get my Kitchen Aid out of the closet and couldn’t because everything was resting on the machine. THREE BROKEN SHELVES filled with food was all balancing on this one kitchen tool. It was like a circus act!!!! You don’t keep a pregnant woman away from her chocolate chip cookies. You just don’t! Our friend does this sort of thing – so we hired him. I then blood promised my husband that we will find ORDER in this house if it’s the last thing we do. And I’m going to start in the kitchen. 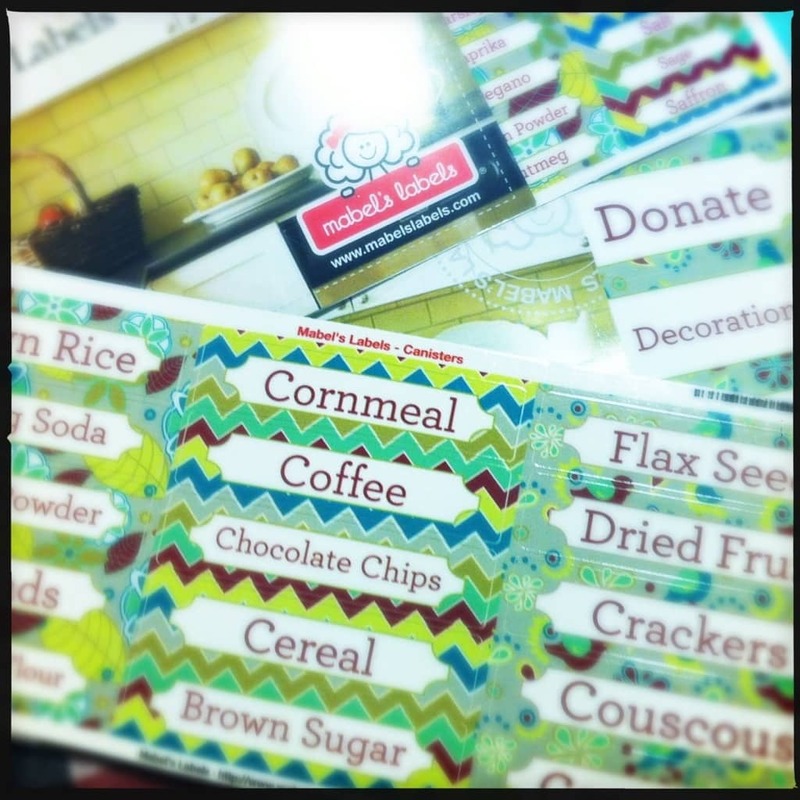 Mabel’s Labels is a great way to get organized. There are countless packets you can choose from and designs that will work with every decor style. Are you looking for labels to help organize your spices, food products, decorations, craft supplies… and MORE? Look no further!! Style meets function in these practical labels. 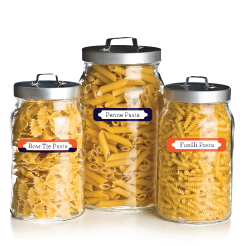 Famous for our durable, personalized name labels, we’re excited to introduce a beautiful new line of Household Labels to help families get, and stay, organized at home!